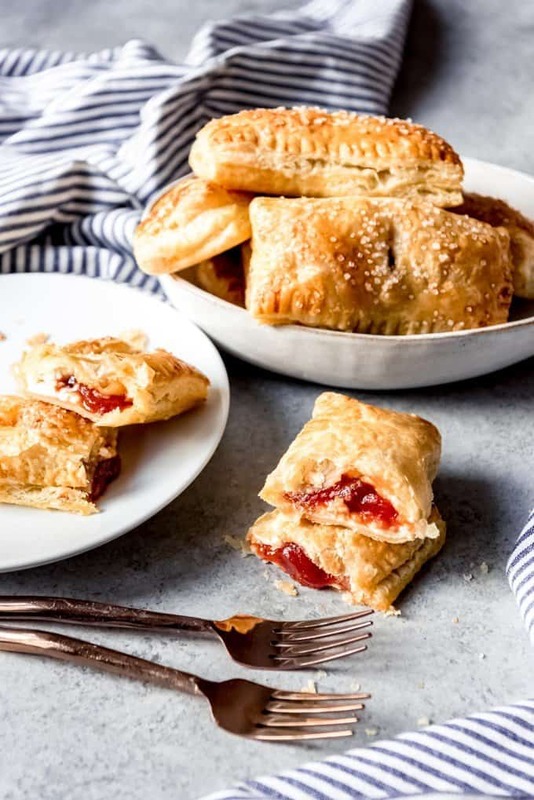 These Guava Cream Cheese Cuban Pastries [Pastelitos de Guayaba y Queso] are a super easy, majorly delicious 4-ingredient breakfast pastry that is perfect for breakfast, brunches, as a snack, or for dessert. 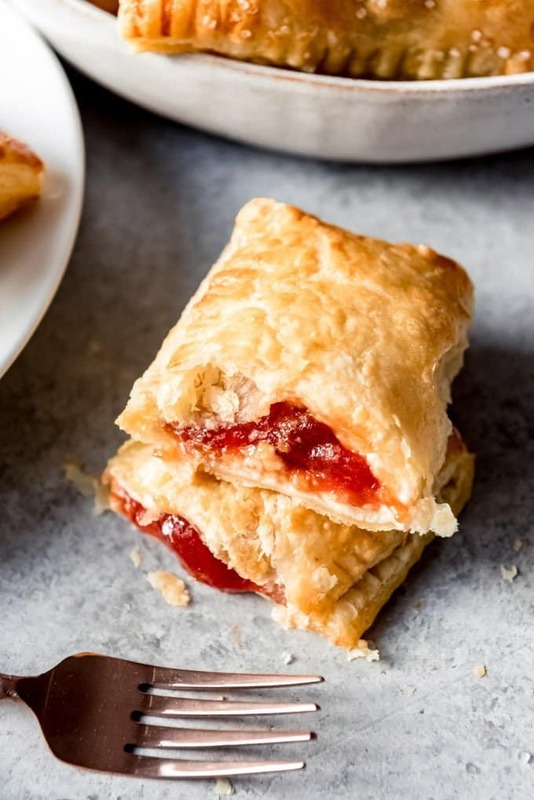 Flaky, buttery puff pastry surrounds rich cream cheese and sweet guava paste for a wonderful treat. I have been dying to share this ridiculously simply guava pastry recipe with you. 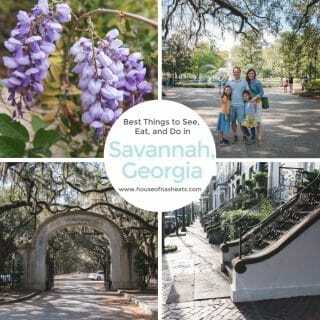 I’m using it to kick off Florida Week as part of my American Eats series. 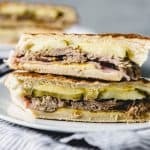 Which is apparently going to be more like Cuba week because when I was researching the foods that Florida is well-known for, most of foods mentioned were Cuban in origin! 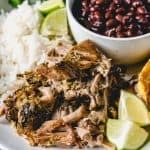 If you have been following this series, you will notice a trend that the iconic foods of some states tend to be related to the regional dishes and flavors of the cultures that make up a big percentage of the population. Like Italian meatballs and stromboli in Connecticut and Delaware, where the American-Italian population is significant. Or Baja fish tacos for California, thanks to the proximity to the Baja peninsula and the heavy influence of Mexican cuisine. For Florida, that means a big Cuban influence. And for starters, I’m sharing these incredible guava cream cheese Cuban pastries known as pastelitos de guayaba, or more simply, just pastelitos. 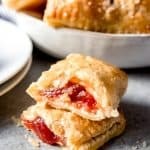 They are stuffed so full of cream cheese and sweet tropical guava paste that each bite of flaky puff pastry oozes with the delicious, warm filling. The last time I was in Florida was during law school when I went with a team of 5 other law students from BYU to represent our school at a Moot Court competition. I remember eating Cuban food one night with my friends while prepping for oral arguments. It seems like there is a Cuban bakery on almost every corner in Miami where you can get these delicious guava pastelitos. Pastelitos de Guayaba aren’t jelly donuts but they sort of remind me of them in the sense of being a rich, soft dough surrounding a soft, jelly-like fruit filling. 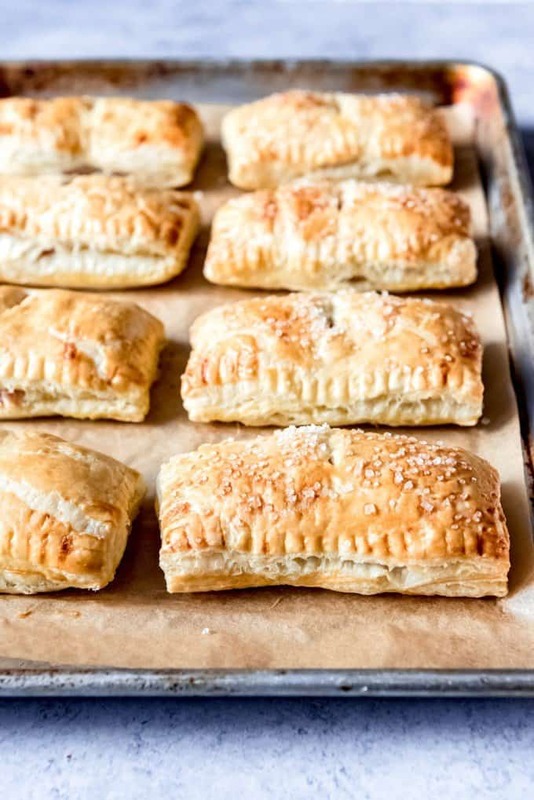 These easy breakfast pastries are a cinch to make. The only tricky thing can be tracking down one key ingredient – guava paste. I happen to live in the California Bay Area and therefore have pretty amazing access to almost any ingredient in the world. 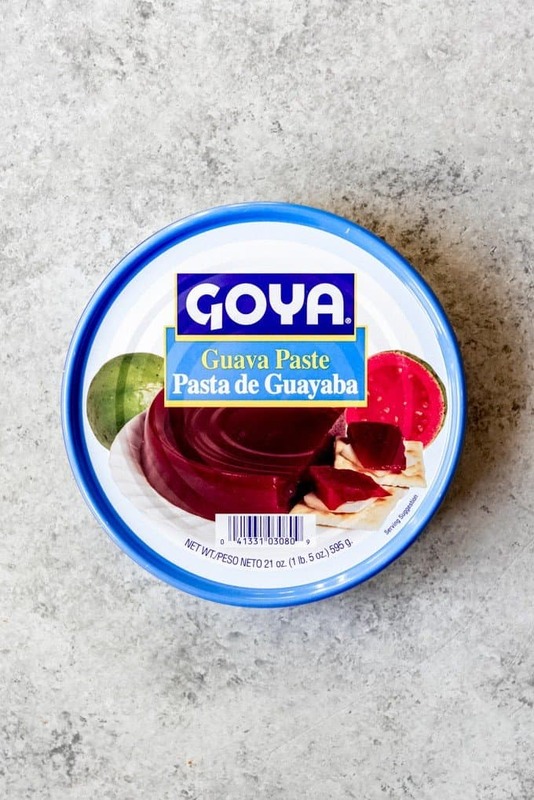 It was as easy as going to my local Latin market and picking up my favorite brand of guava paste (by Goya, although Conchita is another popular brand). It’s called “pasta de guayaba” in Spanish. But then I noticed some at Sprouts. And I’ve even seen it at really well-stocked grocery stores in their Latin foods aisle. Whole Foods sometimes carries it too. 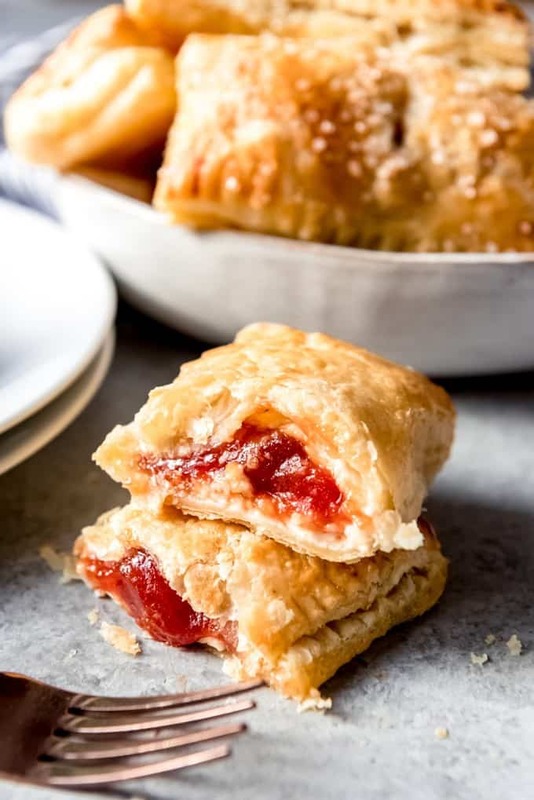 If you live in smaller towns or in parts of the Midwest that don’t have good Lmarkets (which are your best bets for finding it stocked and on the shelves), guava paste is easy to order on Amazon and you’ll have it in two days so you can get your guava pastry fix. 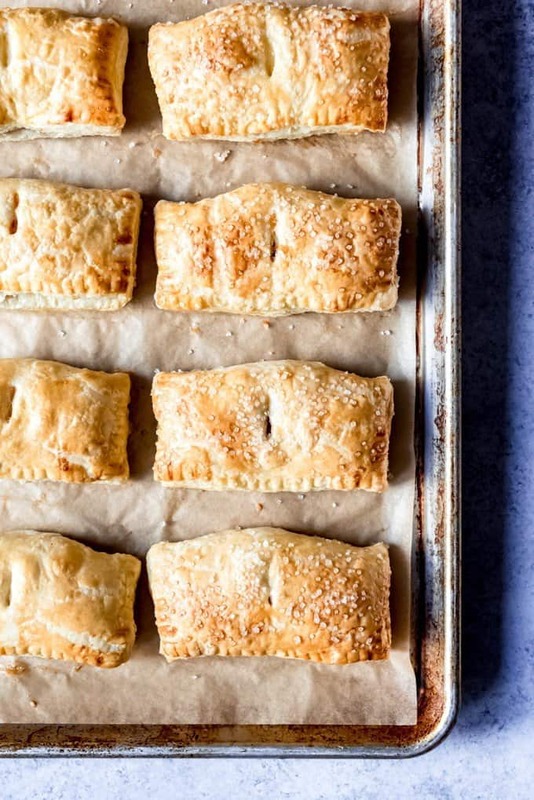 A single can of guava paste is enough for 2 batches of these pastelitos de guayaba. Guava paste is a really thick, dense puree of guava that has been cooked down with sugar. It can be sliced into chunks and is a bit thicker and less gelatinous than jellied cranberry sauce. Guava paste typically comes either in cans or sometimes in little bricks wrapped in plastic. It’s used a lot in Cuban, Caribbean, and some South American cuisines and tastes very tropical, intensely fruity, and almost subtly floral flavor, sort of like a cross between a strawberry and a pear, but with a distinct, exotic quality that is difficult to describe. 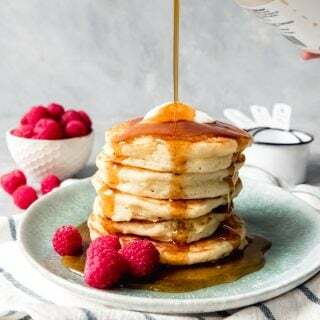 Start by stirring the guava paste and cream cheese in separate bowls until spreadable and beating the egg with a little water in another bowl to make an egg wash. Roll out the puff pastry sheets just a bit. I find that even when the puff pastry is thawed completely it helps to roll it out to smooth out the creases. 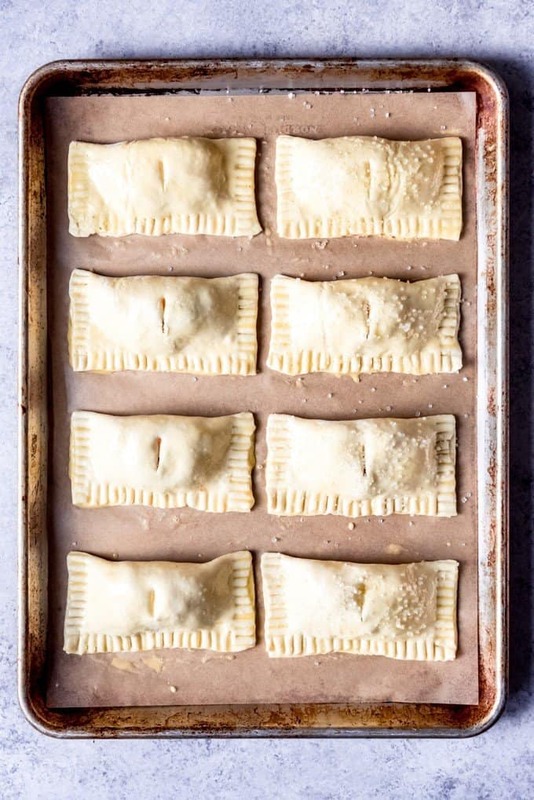 Cut each sheet of puff pastry into 4 equal-sized squares so you have 8 pastries. Divide the guava paste and cream cheese evenly between the squares, leaving a border around the edges. 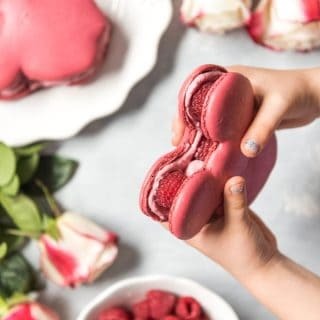 Brush the edge of each pastry with egg wash using a pastry brush, then fold the edges over to create a guava and cream cheese filled pouch. Crimp the edges of each pastry with the tines of a fork. Cut a slash or two into the top of each pastry to release steam as the pastelitos bake. Brush the tops of each pastry with egg wash and sprinkle with coarse sugar, if desired. Bake at 400 degrees F for 25-30 minutes until golden brown, then serve warm. These delicious Cuban pastries are best served fresh, but be careful as the guava filling can get really, really hot. Leftovers can be stored in an airtight container in the fridge. 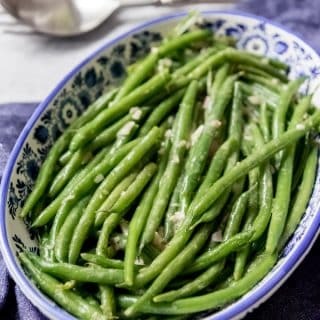 Microwave them for about 10 seconds to reheat. I like to sprinkle these guava cream cheese pastries with coarse sparkling sugar for a little crunch on top. But they are wonderful plain or dusted with powdered sugar instead. 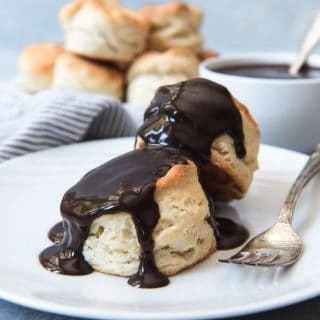 I almost always have a package or two of frozen puff pastry in my freezer. They are great for things like these easy pastries, making brie en croute, or countless other uses. 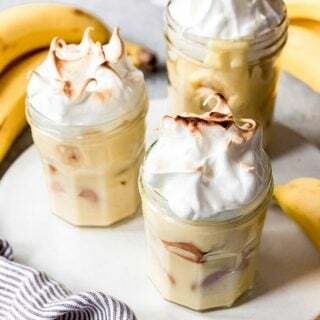 Stock up when they go on sale to have them on hand for year-round entertaining. 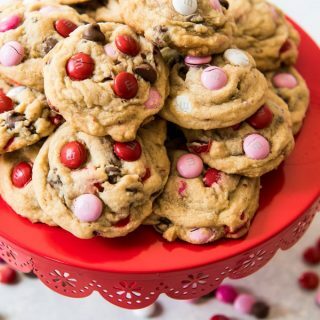 Just pull them out of the freezer about 45 minutes before using so they can thaw. 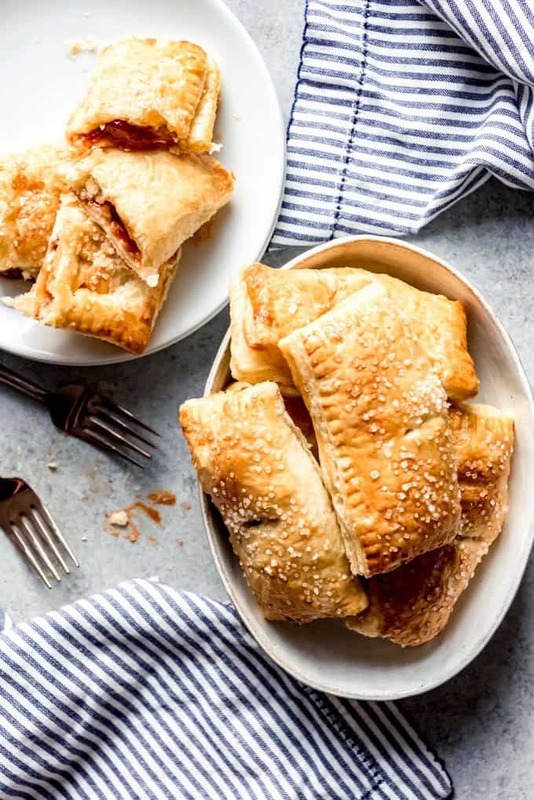 These Guava Cream Cheese Cuban Pastries [known as Pastelitos de Guayaba y Queso] are a super easy, majorly delicious 4-ingredient breakfast pastry that is perfect for breakfast, brunches, as a snack, or for dessert. 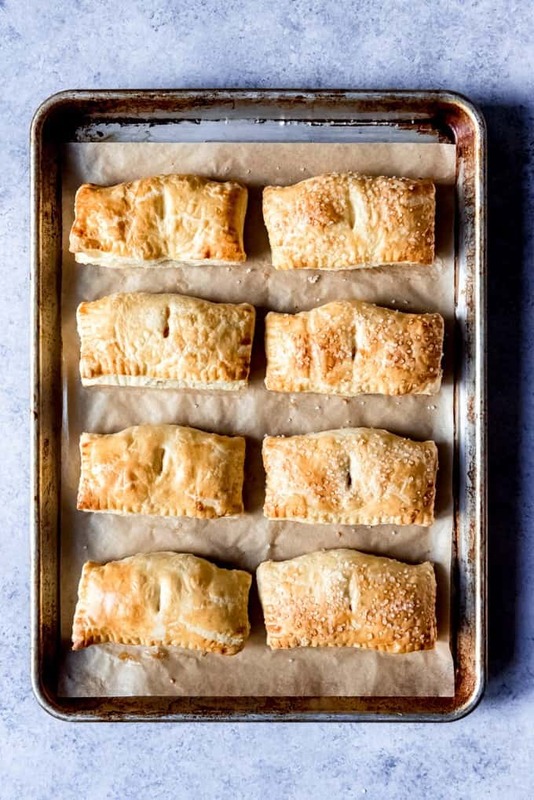 Flaky, buttery puff pastry surrounds rich cream cheese and sweet guava paste for a wonderful treat. Warm guava paste in a microwave safe bowl for 20 seconds. Stir until it's a spreadable consistency. In another bowl, stir softened cream cheese until smooth and spreadable. Beat the egg and water together in a separate bowl and set aside. Roll out one sheet of the puff pastry and cut into 4 equal squares using a sharp knife or pizza cutter. 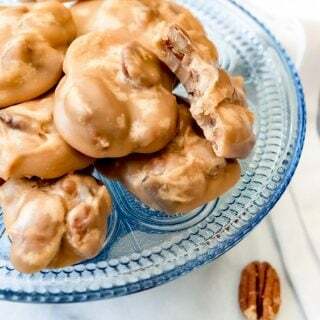 In the middle of each square of puff pastry, spread about 1/8th of the cream cheese and guava paste, leaving a border around the edge of the puff pastry. Repeat with remaining squares and remaining sheet of puff pastry. Brush egg wash around the edge of each square. 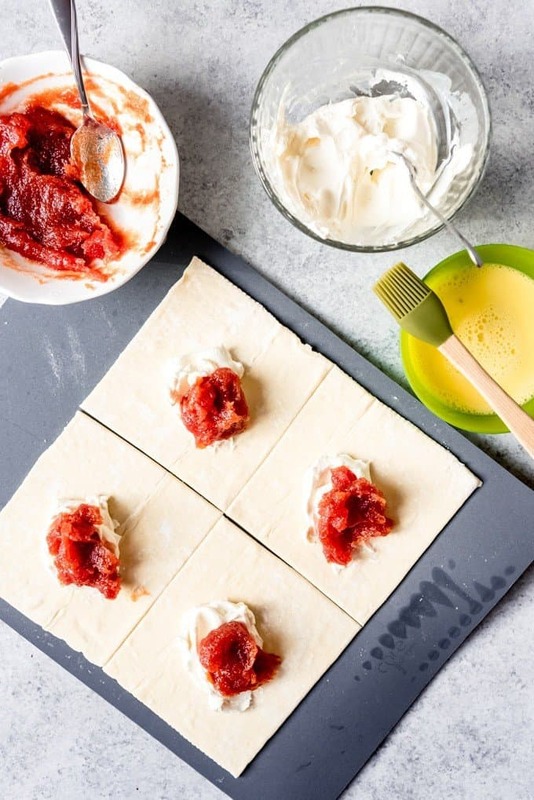 Fold each square in half, pressing the edges with a fork to seal the cream cheese and guava paste inside the pastry. 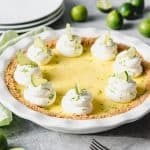 Use a sharp knife to cut a slash in the top of each pastry so steam can escape while the pastries bake, then brush the top of each pastry with the remaining egg wash. Sprinkle with coarse sugar, if desired. Bake for 25-30 minutes until golden brown. Serve warm.